JAIF, together with 11 other Japanese organizations*, successfully ran the Japan exhibition booth that attracted over 800 visits during the week of the 61st IAEA General Conference, September 18-22, 2017. Continuing with 2016’s theme “Life, Safety, and Prosperity”, the exhibition showcased Japan’s peaceful uses of nuclear energy with a focus on nuclear safety, advanced nuclear science and technologies, and industrial technologies. Models of the ATMEA1 reactor by MHI/AREVA, the Accelerator-Driven System (ADS) by JAEA, a submersible robot by Toshiba, and the Quantum Scalpel by QST were displayed on site. 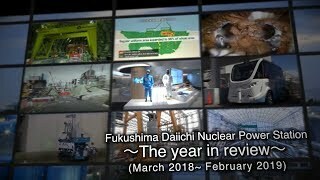 Activities and recent developments related to the Fukushima Daiichi accident, as well as lessons learned, were also presented through multimedia. 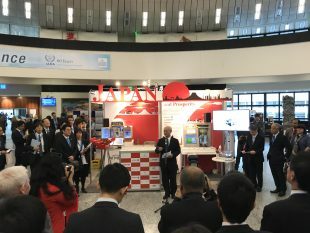 In addition, a special Japan booth website (https://www.jaif.or.jp/IAEA2017/) was launched to provide a list of digital materials mostly available for download from all 12 participating organizations. The 62nd IAEA General Conference is scheduled to take place at the Vienna International Center (VIC) in Vienna, Austria during September 17-21 this year. 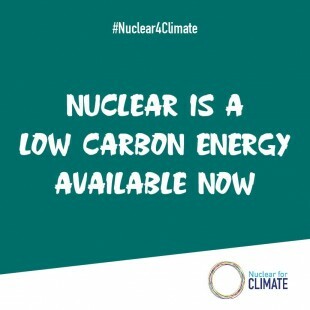 *2017 participating Japanese organizations: Cabinet Office of Japan (CAO), Ministry of Foreign Affairs (MOFA), Ministry of Education, Culture, Sports, Science and Technology (MEXT), Ministry of Economy, Trade and Industry (METI), Japan Atomic Energy Agency (JAEA), National Institutes of Quantum and Radiological Science and Technology (QST), International Research Institute for Nuclear Decommissioning (IRID), Tokyo Electric Power Company Holdings (TEPCO), Hitachi-GE Nuclear Energy (HGNE), Mitsubishi Heavy Industries (MHI), Toshiba, Japan Atomic Industrial Forum (JAIF).